You are Noctis, the Crown Prince of the Kingdom of Lucis, and your quest is to reclaim your homeland from the clutches of the imperial army. 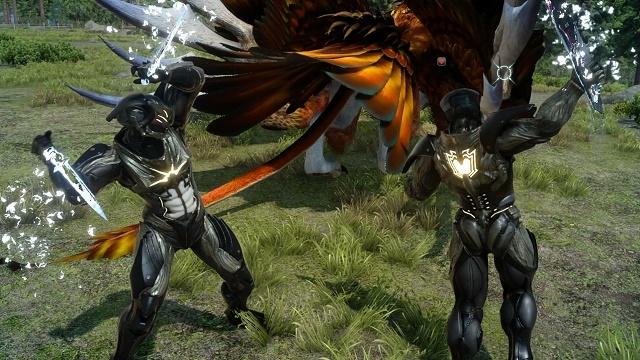 Joined by your closest friends, you will take the wheel and experience a voyage like no other, traveling through the breath-taking world of Eos encountering larger-than-life beasts and unforgiving enemies. You will learn to master the skills of weaponry and magic, channeling the power of your ancestors allowing you to effortlessly warp through the air in thrilling combat. Fresh faces and long-time fans, fulfill your destiny and experience a brand new kind of fantasy. 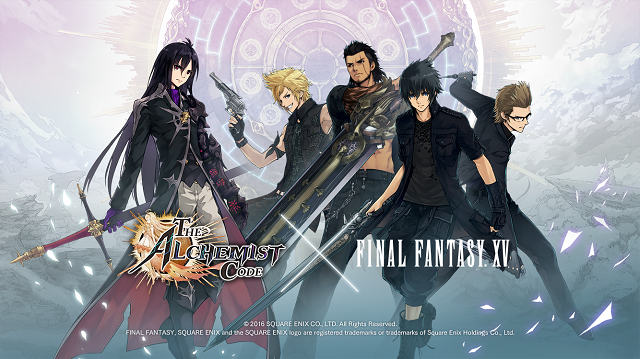 7/2/2018: Prince Noctis and his friends will be joining The Alchemist Code in July. 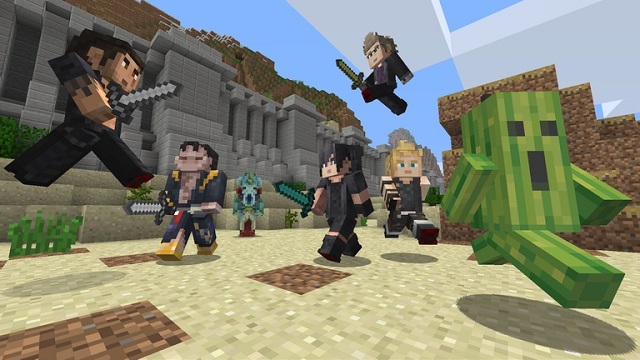 4/24/2018: The Final Fantasy XV Skin Pack is now available for Minecraft. 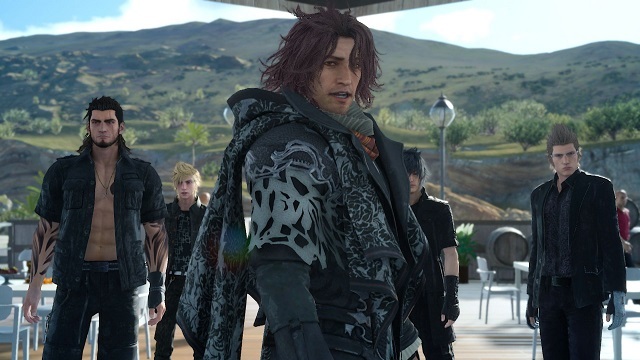 3/6/2018: Final Fantasy XV has launched on PC, and the Royal Edition is now available on PS4 and Xbox One. 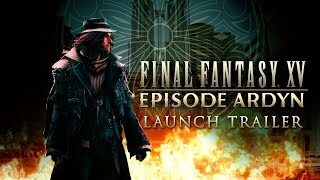 11/15/2017: The Comrades expansion for Final Fantasy XV is now available. 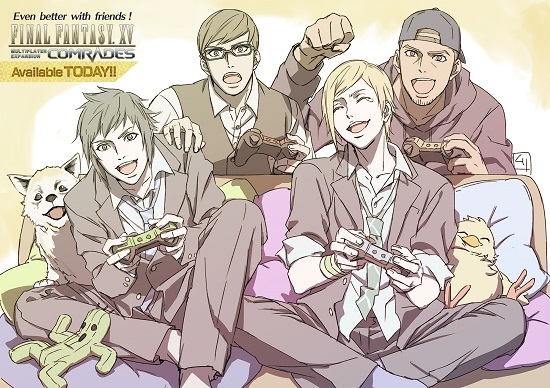 9/19/2017: The Comrades multiplayer expansion for Final Fantasy XV will launch on October 31st. 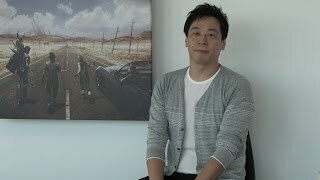 7/31/2017: A free update for Final Fantasy XV introduces Magitek Exosuits and a new quest. 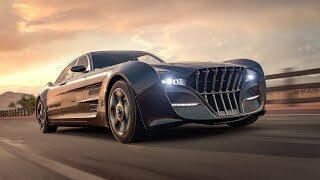 7/28/2017: The Regalia from Final Fantasy XV will be available on August 1st in Forza Horizon 3. 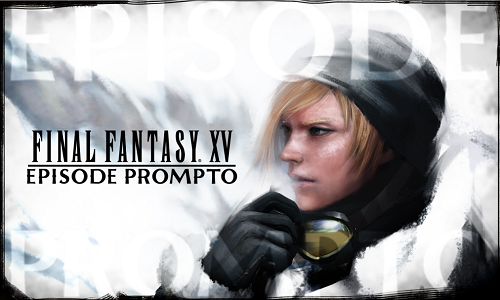 6/27/2017: The Episode Prompto DLC for Final Fantasy XV is now available. 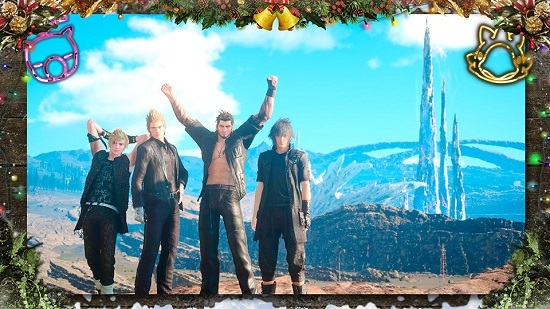 12/16/2016: The Holiday Pack DLC has been released for Final Fantasy XV in both free and premium versions. 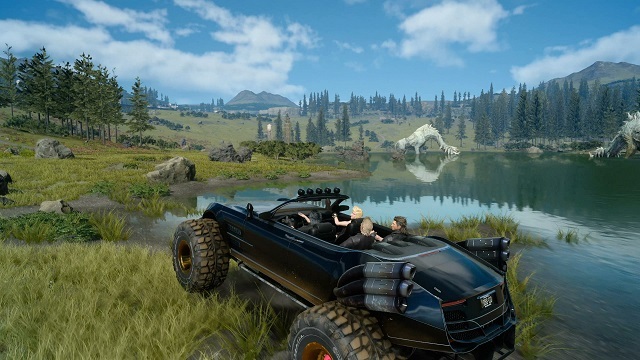 11/29/2016: Final Fantasy XV is now available on PS4 and Xbox One. 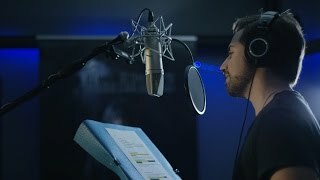 8/22/2016: Square Enix today released the names of the English language voice cast for Final Fantasy XV. 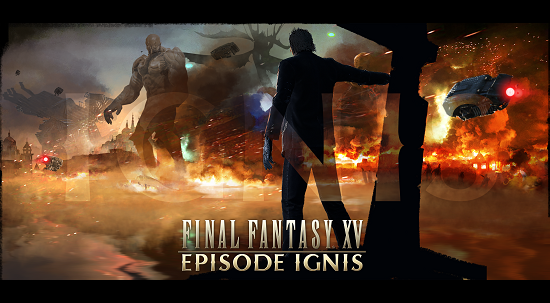 8/15/2016: Final Fantasy XV, originally scheduled for release on September 30th, will now be available on November 29th.